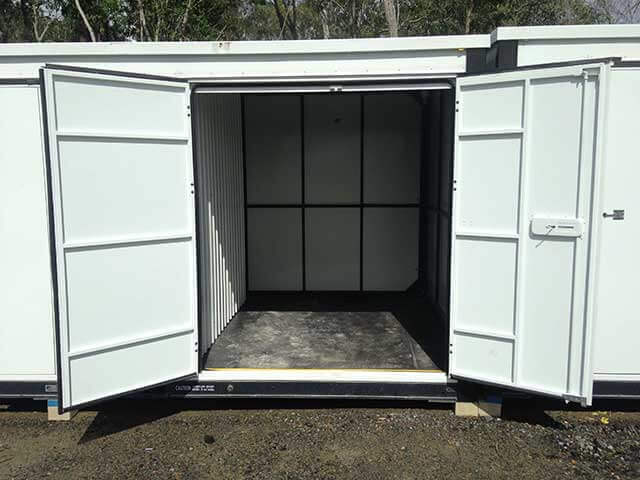 Container Hire Gold Coast - Do You Need Cheap storage? For Container Hire Gold Coast, call Oasis Storage today - Fantastic prices! We are a family owned business, focusing on supplying good old fashioned customer service. We like to keep our prices low, yet provide containers that are new, robust, clean and very strong. Our brand new facility offers many options for all container requirements. We've designed our new storage area to make it easy for clients to drive right up to the door of their unit. The driveways are wide and take you in a circular direction around the centre and past most of our parking bays. Therefore, allowing easy reversal of position, drive around the outdoor storage area with ease. Our security fencing surrounds the entire property, and all zones are covered by a 24-hour camera CCTV surveillance. You can rest easy knowing your items will be kept safe at all times. Talk to us about your storage needs; we listen and then give advice on the best size container for your item(s). We understand that no one-size fits all; that's why we advise the right options to best suit your needs. Oasis storage facility offers a broad range of containers, suitable for residential, commercial and industrial uses. We provide storage for keeping furniture safe, even if you are moving interstate or overseas. We have the perfect solution to suit every requirement. Gold Coast residents are catching on; Oasis keeps it simple and cheap! Providing a first class service at an affordable price is important to us. So, if you find a comparable service at a lower price, we’ll beat any legitimate quote by 10%. Outside Storage for The Larger Items! Don't forget; we also cater for caravans, motorhomes, jet skis and trailers. In fact, any large vehicle is welcome. Still the same security and customer care, and still the lowest price around! Seize This Fantastic Offer - Container Hire Gold Coast - Call Today - Save Money!